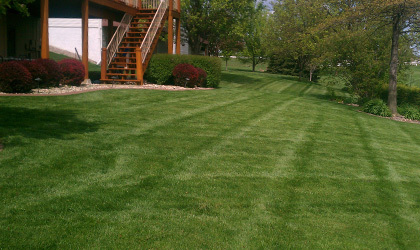 We offer a variety of lawn care sevices around Omaha Nebraska and the surrounding area. Below are just a few of the services we offer. 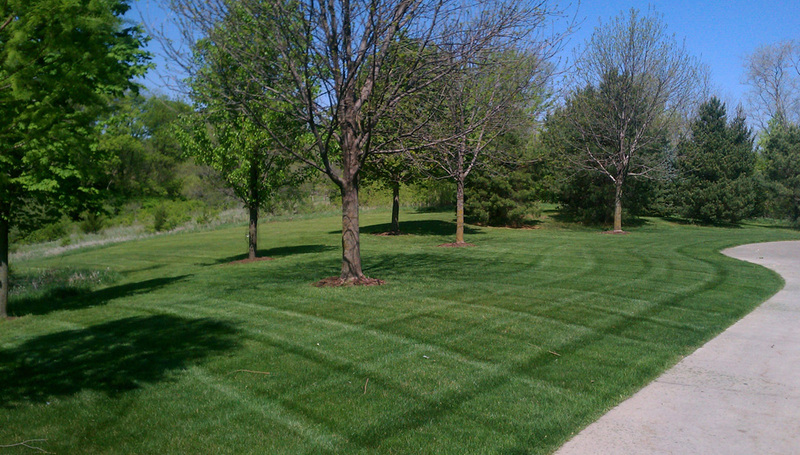 Contact us for help with your lawn or landscaping project. 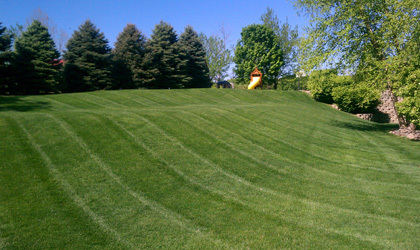 Proper mowing is essential to the maintenance of quality turf. 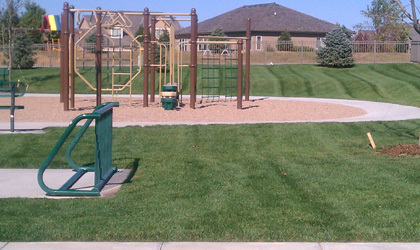 Our weekly service includes mowing, trimming and blowing clippings off of paved areas and landscape. We offer a 5 step fertilization plan designed to deliver season long nutrient delivery coupled with systematic weed control. Aeration is the process of mechanically removing 'cores' or 'plugs' from a turf area to enhance the uptake of moisture, nutrients and oxygen. 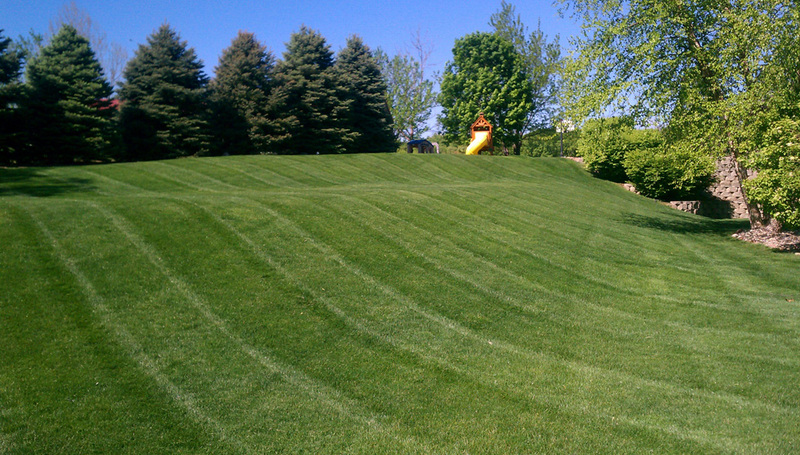 Aeration is recommended at least once per season and performed in the spring and fall. 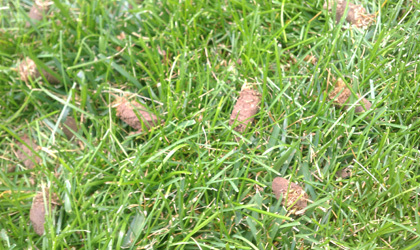 Is the process of removing thatch from a lawn so the soil can breathe and grass can grow more efficiently. Thinning is the selective removal of branches to increase light penetration and air movement. 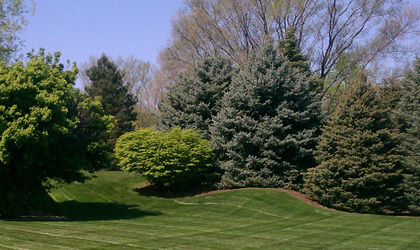 Swift Green Lawn Care can trim the branches that are out of reach. 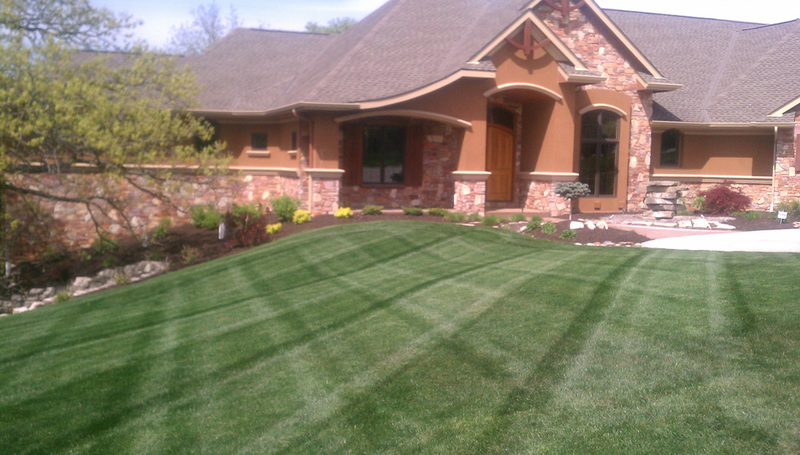 We will help you keep your landscape healthy, clean, safe and attractive. 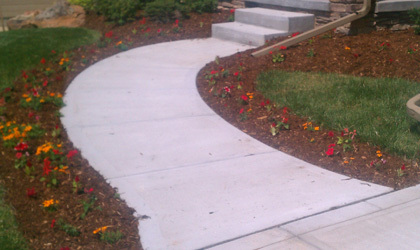 We work on all types of gardens, yards, parks, and estates. 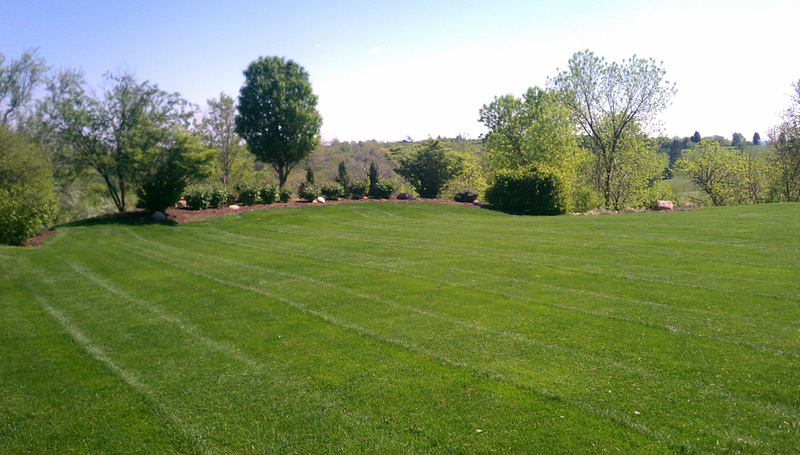 Quality expert craftsmanship and an understanding of nature allow Swift Green Lawn Care to properly install landscapes and gardens. 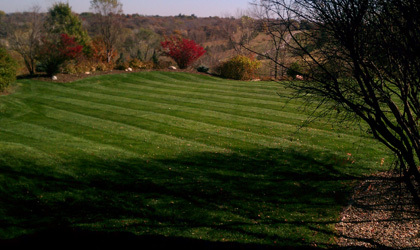 Overseeding lawns is essential for maintaining your lawn's long-term health and vibrancy. 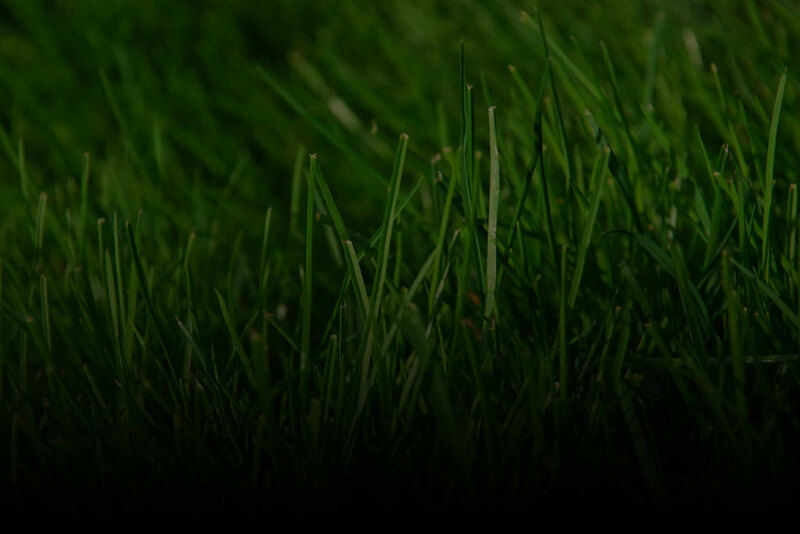 Also a vital step to renewing damaged or dead turf areas. 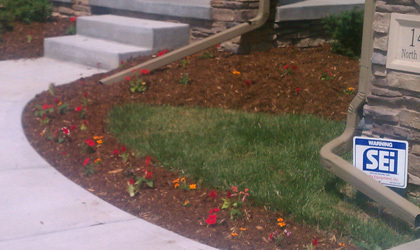 Need mulch installed on your landscaping or yard? Call Swift Green Lawn Care. 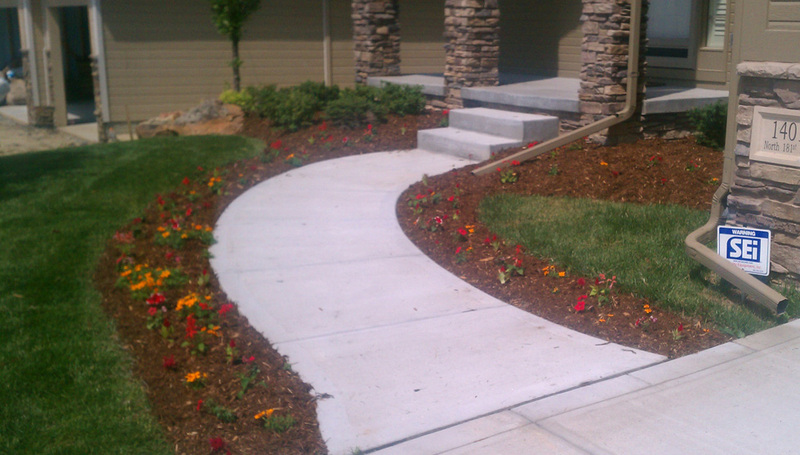 We handle all types of mulch. We offer snow removal service to residential customers. 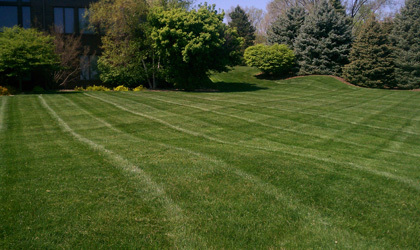 Swift Green Lawn Care, Inc. in Omaha Nebraska specializes in Lawn Care and Maintenance, Lawn Aeration, Power Raking, Mulch Installation, Lawn Over Seeding, Landscape Installation, and Snow Removal. 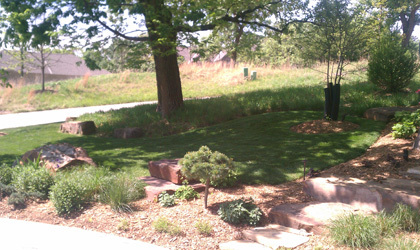 Please contact us for help with your lawn or landscaping project.